UN Commission on Status of Women asked to adopt resolution blaming Israel for the plight of Palestinian Arab women, but proposal is dropped. Over the weekend, the UN Commission on the Status of Women convened in New York and passed several new resolutions to promote the status of women worldwide. In preliminary discussions, a proposal was brought forward that placed most of the blame on Israel for the plight of Palestinian Arab women, but after great efforts the anti-Israeli proposal did not come up for a vote at all and therefore was not passed by the committee. The annual report on the deterioration of the human rights situation of Palestinian women, as is the case with the UN Human Rights Council, regularly includes an anti-Israeli clause. In 2016, the Commission blamed Israel for wife-beating of Palestinian Arab women. A year earlier, it claimed Israel is the greatest violator of women’s rights in the world. 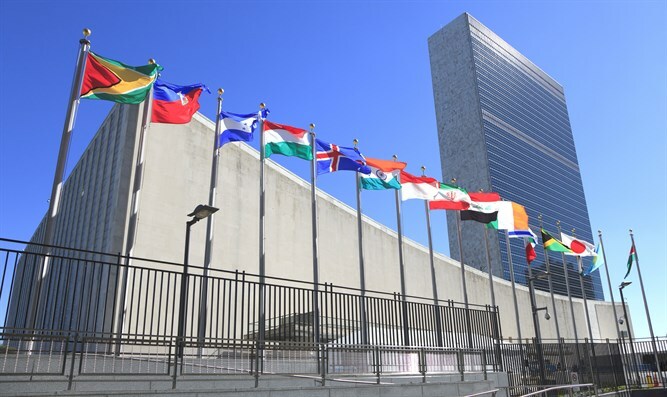 In recent months, the World Jewish Congress (WJC) had launched a campaign to raise public and diplomatic awareness of the report and its resolution, calling on member states to vote against the anti-Israel resolution. In addition, representatives of WJC participated in the conference and supported the fight against the resolution as recognized members of the UN Economic and Social Council. “We sincerely hope that other UN agencies and international bodies will follow suit when it comes to politicized resolutions and recognize that singling out a particular country for repeated condemnation is both detrimental and counterproductive,” he added. “We are optimistic that the CSW is recognizing that there are true human rights abuses, including within the Palestinian Authority itself, worthy of discussion and debate which have long been sidelined," Singer said.